What About the Boat? A Love Letter to Minus the Bear. I wrote about it over on a site that I contribute to, That's Normal, a little while ago but I wanted to talk about it here too. Because I can be extra verbose, use all of the purple prose, and wax poetic all I want. Not that they don't let me, my editors are wonderful and let me write about so many things. But this felt more personal, so I wanted to keep it here. One of my favourite bands, Minus the Bear, are calling it quits at the end of this year, after nearly two decades of being one of Seattle's indie darlings. One last EP, one last tour, one last hurrah, one last curtain call. It's been a difficult pill to swallow for me. I have very deep, extremely emotional attachments to music. I think that a lot of us do. But over the past six years I have had a very intense attachment to Minus the Bear. They have been there for me for some pretty great times, and also some pretty dark ones too. I am beyond grateful to exist in the same timeline as Jake Snider, Dave Knudson, Alex Rose, and Cory Murchy (and former members Matt Bayles and Erin Tate) and the music that they’ve created and shared with us. I feel that I am just now getting to the point in my life where bands that have become so intrinsically part of who I am are beginning to say farewell, hang up their guitars and store their amps, and embark on new journeys. Certainly, bands I have liked in the past have stopped making music, but very few farewells have impacted me like this one. The Tragically Hip perhaps, because of why they were saying goodbye, but most others have left me feeling just kind of bummed, and that's about the extent of it. Even Bombay Bicycle Club, who I still consider a favourite, didn't have me feeling so sad about them not making music together anymore. Bands come and go, and while you might love some of them, others become a part of you. But this one? It hurts. The ache is accompanied by a certain kind of joy as well - one that is glad to have been a fan, one that is excited to see where these extremely talented men do next, because I doubt they will sit idle after their last show (Snider has already done a solo show where he played some Minus the Bear songs, along with some jams from previous bands such as Sharks Keep Moving, Onalaska, and State Route 522). But it does hurt, and I cannot deny that. I’ve cried because of this band before - a lot of their songs have a tendency to hit me right in the chest. And lately I’ve cried because I’m so very reluctant to say goodbye, even though it’s inevitable. Bands like Minus the Bear, bands that I discovered in my mid to late twenties, have become so important to me. Often, it's the bands we find in our more formative years who tie strings around our hearts, but for me it happened at a different time. My mid to late twenties were a time of extreme personal and professional growth, in which I took a lot of chances that I hadn't fathomed I would have the courage to take. So much happened during those years that I have had a tendency to latch onto the music that I discovered then and not want to let go. They are bands that I always come back to, in one way or another. Minus the Bear have provided the soundtrack to some important moments in my life, and in the mundane as well. My first instinct when searching for something to listen when I'm not sure what I want to put in my earholes skews toward them, just because each of their albums is so different from the last. There's a song for every mood, every season, every event. Everyone should be so lucky to have a band that they love so much, but that also means so much to them. In the grand scheme of their career, I haven't been a fan for that long. I discovered them in 2012, ten years after they released their first album. But I remember it so incredibly clearly. I was listening to a random playlist on 8tracks when I was at my office gig. The song that filled my ears, Into the Mirror, immediately struck me with how tight the sound was, how the vocalist's sultry croon reverberated down along my spine. It was the sort of thing that gave me goosebumps, and my office was always too hot. To this day I still get shivers when listening to some of their songs. I didn't have the music playing that loud, mainly it was just background noise. I stopped what I was doing and turned it up - I needed as much of this song in my ears as possible. Louder is better, right? Into the Mirror remains one of my favourite Minus the Bear songs, even though I acknowledge that it's far from their best. It's more of a time and place sort of thing for me. That, and Animal Backwards off their album Omni, remain two of my favourite tracks, yet it wasn't until I ventured beyond that first introduction to Minus the Bear that I would discover something. Omni was not a typical offering from this band. In fact, Jake ranked the band's six albums on Noisey recently, and Omni, the band's ode to fleeting summer love, came in fifth, with only their first album, Highly Refined Pirates, ranking lower. It's not all that shocking when you venture away from Omni and listen to the band's other albums - it was a completely different sound. It was right up my alley, with its electronic pop and new wave infused songs, but their brand of math-tinged indie rock was something that I hadn't heard much of before - and that was where Minus the Bear had found their niche back in 2002. That was what fans expected of them, and this deviated perhaps a little too far for some. The general consensus with Omni seems to have been that Minus the Bear were capable of better. Musically, probably. Regardless, that album will always be the one that I find myself instinctively pulled toward - the one that I listen to ad nauseum in the summer, because if I close my eyes while listening to it I'm filled with images of sunkissed days, stolen moments in a hidden alcove on a balmy night, and roof top parties in the lingering twilight. It evokes a specific kind of feeling and imagery that no other album, no other band, has ever replicated for me before or since. Minus the Bear and I found each other at the perfect time in our lives. Since that first time hearing Into the Mirror, there hasn't been a playlist that I've created that hasn't featured at least one of their songs, a week that has gone by without listening to at least one of their albums in its entirety. They became incredibly special to me very quickly, and I'm forever grateful for that. There are many bands that I would consider favourites, and they're bands that I've adored for years. But in my mid-twenties there was a shift in the sort of music that I began to enjoy. Not that I was actively disdainful, or avoided more modern music, it simply wasn't on my radar unless someone recommended it, and I didn't seek it out. Friends and I tended to make mixes or playlists for one another, and on these was were I usually found new music to listen to. But outside of that? I generally stuck with jams from the 80's or what I grew up with from the 90's. Which is why I think sites like 8tracks were so important. This was a time before Spotify, at least as it currently exists. 8tracks is so mired and bogged down with rules and legalities now that it's no longer the site that it once was, but on work days circa 2011 - 2013 I'd usually just bring that site up, pick a playlist and go wherever it took me. Once one user created playlist was finished it would take me onto the next. They had a tendency to lean toward more indie-inspired sounds, and soon I found myself falling more and more in love with the genre. As mentioned above, this was how I found Minus the Bear. But as a result of finding them, it also helped me find some other new favourites as well. We Are Scientists, Bombay Bicycle Club (who have also since broken up as mentioned), Noah and the Whale, Crystal Skulls, Everything Everything, and more. The indie scene wasn't my scene - right up until it was. I'd felt awful for sleeping on this genre and its sub-genres for so long. For years I could've been enjoying all this music, when instead I hadn't been. Hindsight is always 20/20. I'm not great at keeping abreast of what bands are up to, even if I consider them a favourite. I usually find out months after the fact that they've released a new album, days before they're set to roll into town that they're on tour. Minus the Bear made me want to be better than that - and they're one of the bands whose career I've made a point of following closely. As soon as a new album dropped, I was listening to it. Their tours didn't often come anywhere near me (though when I was living out west they did once, I was simply too depressed to go see them), but I was greedily lapping up new content as soon as I could get my hands on it. You can imagine my elation when so shortly after discovering them I found out they were releasing a new album in a few months. If it was because my first exposure to the band was Omni, I'm not sure why, but Infinity Overhead didn't resonate as much with me as I thought that it might. At least not immediately. But in recent years I listen to this album from front to back with alarming frequency. It's reminiscent of their Omni sound (for better or worse depending on who you ask), and filled with all the delays, loops, harmonies, and layers that I’ve come to expect and love from the band - which is probably why I like it so damn much. Sometimes the things that you love the most take a while to hook their claws into you. Their entire catalogue is a gift, even if their first album has references to Starship Troopers. Not that neither aren’t amazing, but I’m glad they grew a little in that regard. I talked about their albums recently at one of the sites that I write for, and honestly? Though there may be albums I like less, there’s no album of theirs that I dislike, and every single album and EP has one or two or several songs that I absolutely can never get enough of. There’s rock anthems, synth bops, meandering ballads - these guys have always been able to do it all. On top of being fantastically talented, I have always just appreciated these dudes on a personal level. They have used the platform that they have to inform their fans and make it very clear what they think about the current state of the world. Their music itself has never been political, but they take to Twitter, engage in conversations, have booths set up at their shows to get people to register to vote. It would be so easy so a group of middle aged white dudes to turn a blind eye to what’s going on right now, but they don’t. I’m going to be real, I always appreciate when people show me who they are, celebrities included. A lot of people want to keep politics out of things, and I don’t understand why. I have a very difficult time supporting anyone who thinks that anyone else is “less than.” Whether it be due to their gender, race, financial situation, whatever. And in recent years it really does seem like a lot of people who I admired or held in high regard have been capable of tasteless or terrible things. It takes little to no effort to be kind, to not wield your privilege and power as a means to inflict harm on others. So, for a group of guys whose work I absolutely adore to not be terrible people? That means a lot to me. The bar honestly feels like it’s so low these days - but they’re out there doing what they can with what they have. And it endears them to me even more. I did want to speak about one of the band’s songs in detail, from which I borrowed the title of this blog entry from - What About the Boat? from their sixth (and ultimately last) album, VOIDS. While many might disagree with me on this, but I think it is a quintessential Minus the Bear song, even though I feel many would say their specific sound is tied more to their first two albums, Highly Refined Pirates or Menos el Oso. But, let me explain. It was something I saw a lot of in reviews of the album, Omni - it deviated too far from what people expected Minus the Bear to sound like. But the band’s sound had evolved with each album, so what other fans and critics were looking for, I’m not sure. There isn’t one album by the band that sounds like the last one - they’ve tended to take elements from previous offerings and brought them to their next release - but that is something that I’ve loved about them. They’ve always tried something different, tried to evolve and not be shoved into one genre. As much as it has been about the music for me, Minus the Bear have also been a feeling. And that’s where What About the Boat? comes in. Though not a biographical account, Snider sings a lament of a lost love as told by an anxious insomniac. There is a resonant yearning palpable in his voice that has been reflected in some of the band’s other songs (particularly Fooled by the Night from Omni), but it is particularly sweeping and haunting here. The song’s dreamlike quality is further driven by Cory Murchy’s thrumming bassline that is reminiscent of the way one’s head bobs as they begin to succumb to sleep while sitting up. Upon its release this song immediately stuck with me. Jake’s lyrics sometimes have a tendency to be rather obtuse, allowing the listener to infer why they want from the song if they so wish. But there is something a bit more direct here, and there is a wariness to the lyrics that I haven’t often heard in Minus the Bear’s catalogue - and they’re refreshing in a way, even if they’re not trying to be. The protagonist seems to go back and forth between wanting his lost love to come home (“Every nightmare comes true when I’m alone, come home”) and wanting to be rid of the memory of them (“Let me forget your name - when will you evaporate?”). As I mentioned, Minus the Bear have been a feeling as much as they’ve been a band to me. Their music and lyrics always evoke something very specific - emotions, memories, desires, thoughts, feelings. What About the Boat is the perfect example of this for me. It’s impossible to listen to this song and not feel something. So, what do I feel when I listen to What About the Boat? Hope. Despite the song’s moodiness and the dark tone of the lyrics, there’s a hopefulness in its sound, especially as it reaches its crescendo. “The ocean’s rising,” Snider repeats as the song reaches its conclusion, Dave Knudson’s pedal work kicking into overdrive, the boat sinking from a crack that he’s unable to locate. To me, the entirety of the song has been spent with the two warring feelings and desires - wanting to remember and wallow and wanting to forget and move on. And at its end I feel like wanting to move on is winning, but also the promise of something new, something beautiful amidst all of the pain is on the horizon. You just have to find the crack that’s leaking. What About the Boat? also has the honour of being one that I sing most frequently in the shower (that and My Time, which is incredibly saucy). You’re welcome, Brad. I was scrolling through Facebook when I found out, which I'm actually really mad about because I don't like Facebook. These days I keep it more as a way to stay in touch with people and don't post much - when I was out west, it was with people back east. And now that I'm back east, it's with people out west. "I just read the worst thing ever. After this Fall, Minus the Bear will be no more ... I'm so sad." I honestly felt my heart in my throat, thinking that there's no way that could be true. I was unemployed at the time so I was likely sitting on my couch in the midst of job hunting, but nothing else seemed to matter in that moment. Immediately I took to the internet to look for the statement, to look for upcoming tour dates, and was equal parts crestfallen and appreciative. It was true, they were going to cease making music together by the end of the year, and were releasing one last EP and going on a farewell tour. You really can't ask for more than that, as they easily could've said that they were done and be over with it. The fact that Jake, Dave, Cory, and Alex are taking the time to say so long means a lot to me, and I know it means a lot to other fans as well. 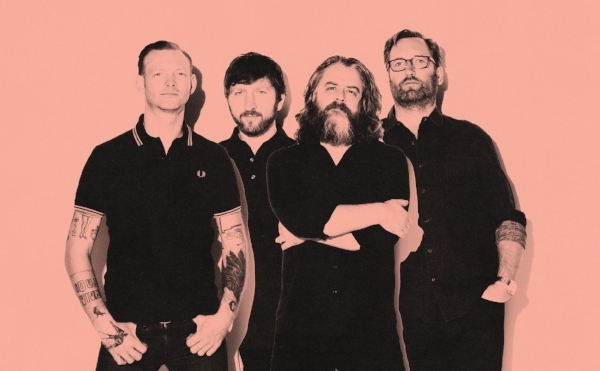 I will say this - you don't always get to choose when you bow out, and even though it's breaking my heart, Minus the Bear are doing it at the right time. There are bands still around that probably should've stopped making music a long time ago - whether due to the quality of what they're producing, or not having their finger on the pulse of what their fans want. There are bands that left us too soon - whether due to in-fighting, or tragedy befalling them. 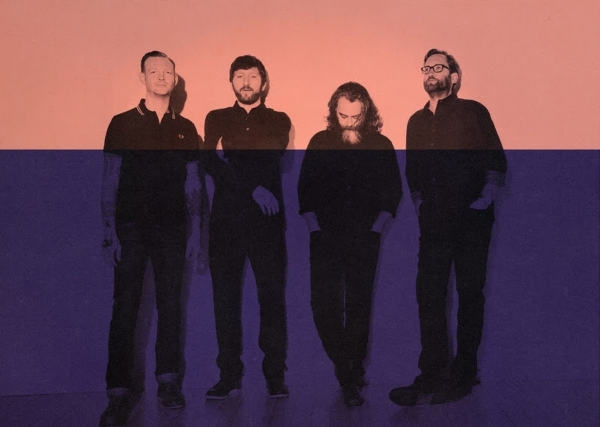 Minus the Bear were still making great music as of their last album, VOIDS, and obviously I have no idea what's going on behind closed doors, but they don't seem to hate each other. Is it better for them to call it quits before they stop creating the quality of music that they and their fans expect, or they're having Sting and Stewart Copeland level fights? Probably. Doesn't mean that I have to like it. I'll be at their show in Toronto in October, and I am simultaneously excited and sad. When I finally got my tickets (it was a whole ordeal with Ticketmaster that took weeks to resolve), I stood in the living room and cried, much to Brad's confusion at first. I'm so looking forward to sharing in my love for this band with others who love them just as much. I'm looking forward to singing along to my favourite songs, shedding some tears, and generally just having an excellent time. The setlist is going to be amazing, I’m sure, and Alex told us so. Though, if I had it my way they would play every single song they’ve ever written or covered. In all honesty, one thing that I hope to hear, that I hope they gift us is both Into the Mirror and Animal Backwards, with that segue into the latter that has always made me damn near cry. I could never really put my finger on why, just the way the track loops and seemingly goes “backwards” (get it?) has always just been a gut punch. It’s those shivers that I talked about earlier. The songs are about hooking up with a girl at a party and doing coke, why do they make me feel this way! I want to say goodbye, I want to say thank you. It's bittersweet that my first Minus the Bear concert will also be my last, but if I had to see them only once live I'm glad that this will be it. I knew the moment I heard those first notes of Into the Mirror that Minus the Bear would be one of those bands that would be with me always. And that's not going to change, even if they're no longer making music together. Nothing could ever take away the nights that I stayed up late with them just letting their music wash over me, the mornings when they helped get me out of bed and out through the door, the afternoons and evenings where nothing else in the world really mattered so long as I could just take a few minutes to listen to a song or two of theirs. They're a band that I'm going to carry with me for the rest of my life, and I'm so glad that I found them when I did.